RETURN THE LOVE... SEND FLOWERS! 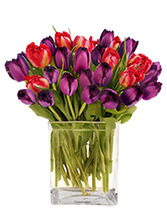 To Send a Fresh Flower Arrangement in the Oakland, CA area, Call LOVE STOP FLOWERS & GIFTS Direct or Order Flowers Online 24/7. 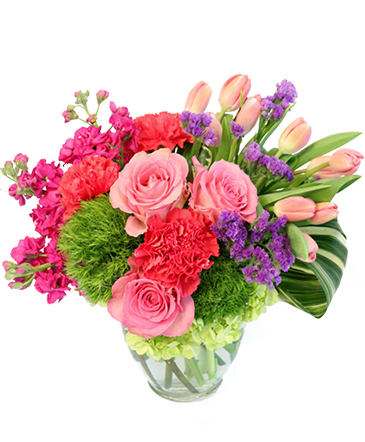 A lush bouquet of delicate flowers is sure to brighten her day and make her feel loved! 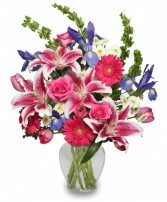 Pink lilies, coral roses, lilac, and coral gerberas with hanging amaranthus are the perfect combination to have her smiling and filled with joy. 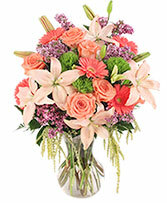 Call to order this arrangement of fresh flowers today!